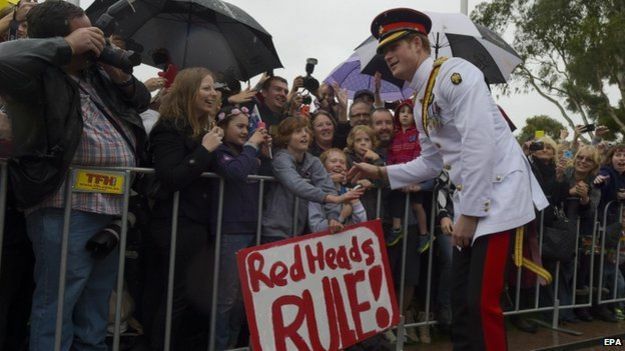 Prince Harry has arrived in Australia for a four week placement with the Australian Defence Force. He laid a wreath at the Tomb of the unknown Australian soldier in Canberra before officially reporting for duty. He also presented a letter from the Queen in which she wrote that her grandson would benifit greatly from spending time with the Australian Troops. The Prince, called Captain Wales in his military role will leave the British Army in June after 10 years service.